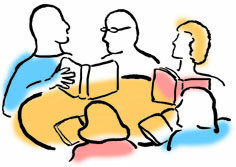 The Monday series of talks, sponsored by the Friends of the Library, are held at noon in the McChesney Room of the Central Library on Clinton Street. You may bring a bag lunch; coffee and tea are available for a nominal fee. The room is equipped with special devices for the hearing-impaired. These programs are also broadcast on the Schenectady Public Access channel. February 25: Between the World and Me by Ta-Nehisi Coates, reviewed by Dr. Deidre Hill-Butler, Professor of Sociology, Union College. In a letter written to his teenage son, Coates relates his experience as a youth growing up in Baltimore. He illustrates how history has shaped the experience of navigating today’s world and institutions as a black man. The review will mark the kickoff event for the 2019 One County, One Book program. March 4: Sending Humans to Mars, presented by miSci’s Outreach Astronomer, Dr. Valerie Rapson. NASA and SpaceX are hard at work designing rockets and spacecraft that will one day take humans to Mars. What will it take to actually get there? What sort of dangers do people face? And, is putting humans on Mars in the next 10 years a realistic goal? Come and find out! March 11: A New Kind of Money: the Blockchain and Digital Currencies, presented by Dr. Joseph Salvo, GE’s Director of Digital Industrial Ecosystems. In 2009, a new type of money (Bitcoin) was created on the internet. Today Bitcoin and related digital currencies, such as XRP and Ethereum, store more than 60 billion US dollars in value. The potential social, political and economic impacts of this new digital asset will be discussed. A revolution is in the making. March 18: More Inconvenient, and/or, Convenient Aspects of Global Warming, presented by Dr. Chris Walcek, a Senior Research Scientist at the Atmospheric Sciences Research Center of SUNY Albany. Some of the scientifically uncertain and debatable aspects of the theory that humans are drastically altering the Earth’s climate will be discussed. Evidence of this complex problem will be presented and hopefully generate questions and discussion. March 25: The Great Bridge at Quebec: A Story of Failures and Success, presented by Phil Adams, retired GE Power System Civil Engineer. After a hundred years, the great cantilever truss bridge across the Saint Lawrence River in Quebec still has the widest clear span of any of its type in the world. In the eyes of a civil engineer, it is a beautiful thing to behold. Phil will tell the story of its construction, including two catastrophic failures, the loss of many lives, and how it influenced the ethos of the engineering profession in Canada, and the adoption of the “ritual of the ring”. April 1 Change in Early Nineteenth-Century Higher Education in New York’s Capital District (History of Schools and Schooling) by Richard Ognibene, Professor Emeritus at Siena college. Presented by the author. Professor Ognibene describes how the Capital District embraced the new schools as they were founded: Union College in 1795, Albany’s Academy and Female Academy in 1813 and 1814, Emma Willard School in 1821, and RPI in 1824. April 8 The Library Book by Susan Orlean. Reviewed by Dr. Patricia Rush, retired English teacher and former book reviewer for the St. Louis- Post Dispatch. Dr. Rush is a Friend of SCPL and a Coordinator of Books Sandwiched In. This book is a love letter to libraries and librarians. It tells the story of the horrendous 1986 fire at the LA main library. We trace the early history of the library and its colorful head librarians, we hear about the issues that face libraries today and we hear about the puzzling self-contradictory man who was accused of, but probably did not start, the library fire. April 15 Working On the Dark Side of the Moon by Dr. Thomas R. Willemain, Professor Emeritus at RPI and a Friend of SCPL. Presented by the author. Dr. Willemain describes the rewards and challenges associated with working for a secret government agency. We come to understand something of the dedication that is required of these brilliant public servants. April 22 Leadership: in Turbulent Times by Doris Kearns Goodwin. Reviewed by Jack Rightmyer, English teacher, book reviewer for the Albany Times Union, and author of two books. Pulitzer Prize-winning author Doris Kearns Goodwin demonstrates how leaders are made, not born, as she explores the highs and lows of four U.S. presidents who faced moments of horrific national crisis. April 29 The Perfectionists: How Precision Engineers Created the Modern World by Simon Winchester. Reviewed by Gene Rowland, a member of the Friends and a Coordinator of Books Sandwiched In. Bestselling author Simon Winchester traces the development of technology from the Industrial Age to the Digital Age to explore the critical role of precision in advancing the state of the art. May 6 Enlightenment Now: The Case for Reason, Science, Humanism and Progress by Steven Pinker. Reviewed by Phil Adams, retired engineer and frequent contributor to Books Sandwiched In. Mr. Pinker takes an optimistic view of the current political and social upheavals plaguing our world, and argues that people are richer, healthier and live longer now than any earlier time in history.